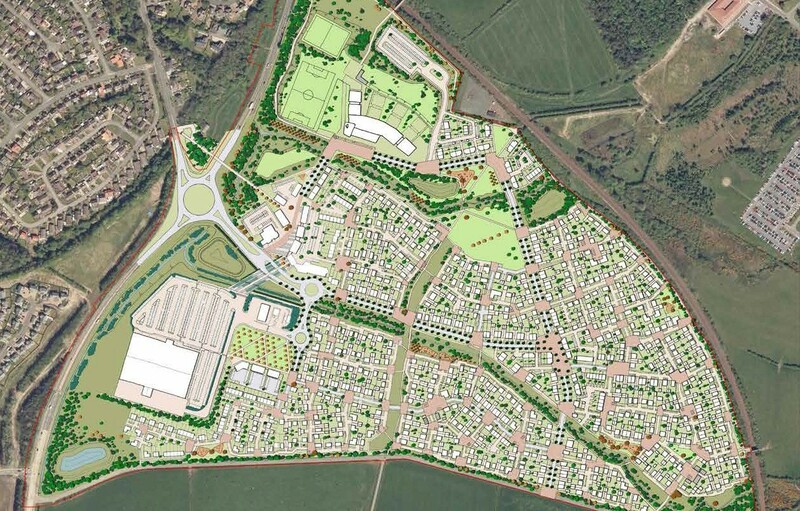 South Ayrshire Council has given the go-ahead to a significant extension of Ayr which promises to deliver 750 homes, a supermarket, primary school, office space and community hub over the next 30 years on farmland at Corton. 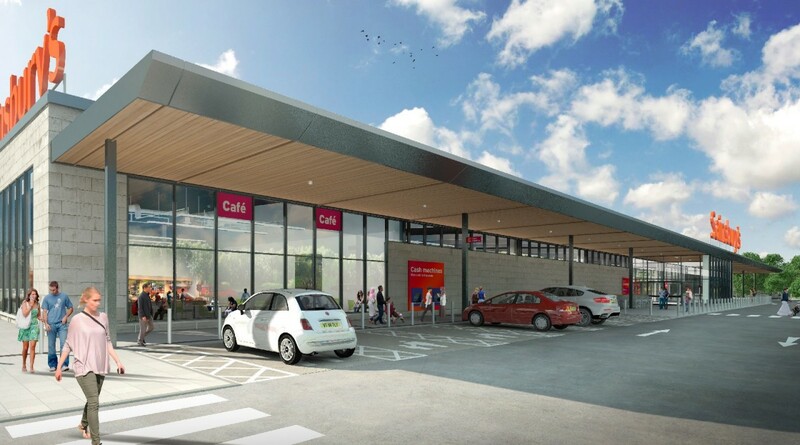 Detailed planning consent has been given to LXB retail properties and The Harris Partnership to press ahead with a Sainsbury’s supermarket and car park as well as a pedestrian link bridge over the A77. 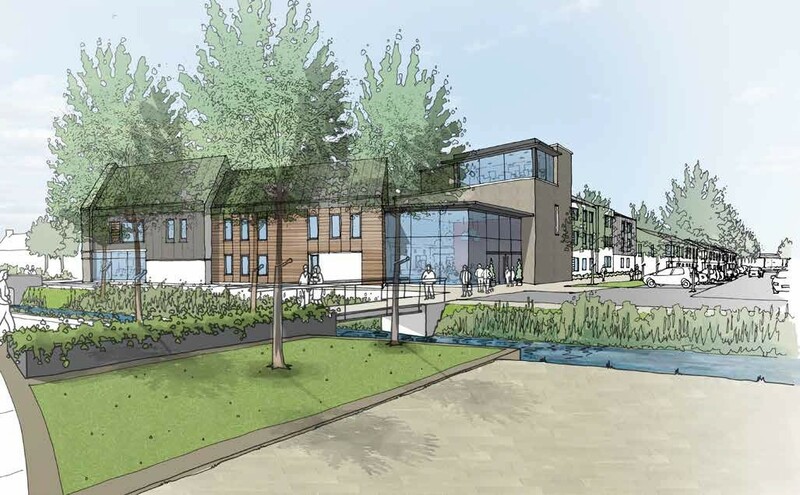 In their design statement for the business units The Harris Partnership said: “The overall design of the external elevations seeks to provide a simple crisp and uncluttered building that gives a contemporary feel to the south side of the Corton development. This is further enhanced through the use of high quality robust materials within key elevations. Infrastructure works associated with the supermarket will open up the remainder of the site to additional housing. The layout of the housing areas looks fine but the whacking great roundabouts at the entry to the overall site stand out like a sore thumb - they tear right through the fabric of the place, splitting what looks to be the 'local centre' in two with a great big motor vehicle access road, 1990s-style. The way the supermarket addresses it with a huge surface car park seems deeply regressive too. 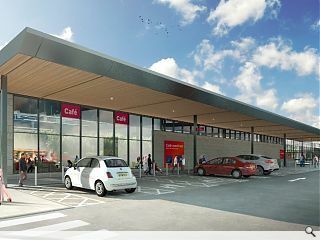 Can't help but think this would be so much more successful if the retail was properly integrated with the rest of the development, located at the actual centre of the site rather than the periphery where it is clear that it's more interested in serving the A77 than any new community. 5/10. FFS Has no one learnt anything about master planning in the last 20 years? 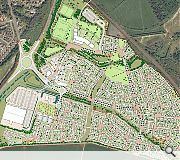 The development on the whole will be a massive positive for Ayr and I doubt many residents will care about the overall masterplan...but I do and I think this is a perfect example of another missed opportunity by SAC. It's a masterplan from the dark ages and shows no progressive thought. I appreciate that the housing strategy will need refinement but this is not a good basis for design. The design statement is ill conceived too 'A restricted palette of quality materials including crisp white render'...considering the weather and proximity to the coast I think the crisp white nature of it will remain for about as long as it has taken me to write this post. Tend to agree with Roddy . What needs to be remembered is that the previous Kyle and Carrick Council planning policy was "never" to cross over the A77 and to infill land inside the bypass ie Doonholm and Doonside . This is the equivalent of sticking a big development outsid the A720 Edinburgh bypass. Wonder how that would go down over there? 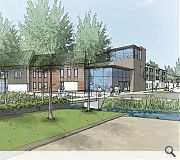 The whole raison d'etre for this south east Ayr land release/expansion was predicated on the justification for a new rail halt to serve the Ayr University Hospital. ha ha ,..That joke lasted about 5 working days when the SPTE told them they had no extra rolling stock to run the proposed services. So the backdrop to this shambles must have lasted over 12 years now( is'nt Planning wonderful). On the plan: no apparent provision for the A77 ever being dualled so pretty short sighted. What a good idea putting playing fields right next to a busy 2 lane trunk road. I could go on and on but frankly I'm tired and so must LXB and the Harris partnership for the ludicrous amount of time it has taken SAC planning to deal with this master plan which is patently so seriously flawed.